Announcing my next Creative Meetup! What are you doing Thanksgiving weekend? 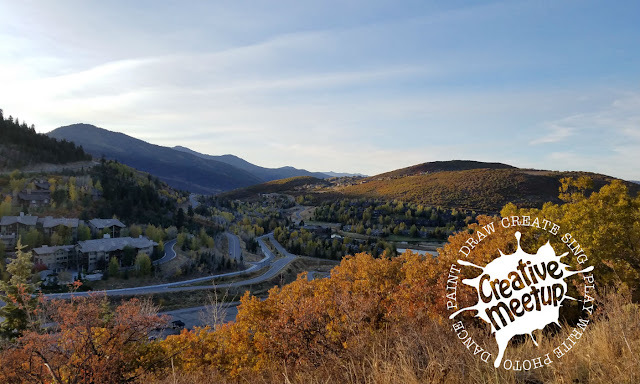 Join me in Park City on Saturday afternoon, November 25th for some time outdoors and creative making session. Bring your sketchbook, your paints, your journal, your camera, an instrument or whatever you want to make art and join a community inspired by nature. We'll start outdoors on the patio of the St. Regis Bar & Lounge at 3:30 and enjoy the beautiful views of Deer Valley as inspiration for our art. Bring your friends, your family, or anyone else who might enjoy time outdoors and a chance to be creative. This event is totally free and open to the public.